Every instructor has to struggle with and figure out how to approach student management, which is not a small challenge, and knowing how to engage students in meaningful ways is a huge part of that. 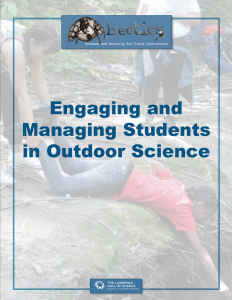 This guide presents a student-centered approach to engagement and management, an approach focused more on creating an environment conducive to student learning, and less on how to “deal with” or discipline students if they’re not behaving the way you’d like. This is a guide on how to engage students positively from the beginning by creating an environment in which they have the highest chance of being the best versions of themselves, so that everyone in the group can have a positive experience and learn.